I’ve been watching Belgian football for many years. I don’t like criticising it but with the league season starting today, I’m in a negative mood. 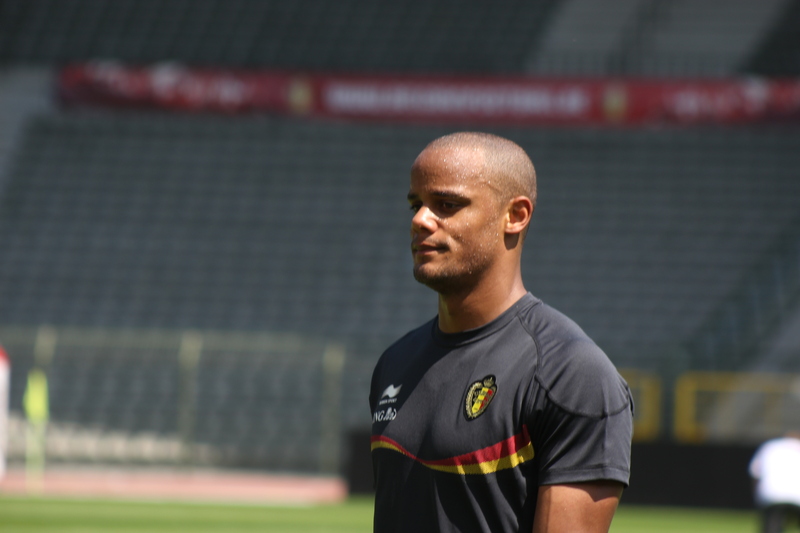 I’ve seen some top players and great characters in the Belgian league: Pär Zetterberg, Walter Baseggio, Gert Verheyen, Jan Koller, Timmy Simons, Vincent Kompany, Axel Witsel, Kevin De Bruyne, Thibaut Courtois and many more. Last year I was concerned when Thorgan Hazard won the ‘Golden Shoe’. He’s a good player, I have no doubt about that; but when a 20-year old with two years’ experience and no international caps (except for a friendly) is the best player in the country, then alarm bells start to ring. If anything, the quality of the league has dropped compared to last season. Anderlecht’s Massimo Bruno had departed, as has Standard’s Michy Batshuayi. Genk’s Jelle Vossen looks likely to follow them, while Club Brugge’s Maxime Lestienne and Thomas Meunier are itching to leave but have no takers – a different kind of worry. It’s not the clubs’ fault that players want to leave for greener pastures and they can’t be blamed when players like Adnan Januzaj and Charly Musonda Jr. pack their kit-bags and catch the Eurostar aged just 15. Countries like Belgium do deserve some sympathy as their clubs struggle on with small budgets – 11 of the 16 clubs in the first division have a budget of less than 10 million euros – low salaries that can’t attract even average international players, and the consequential miniscule TV rights. 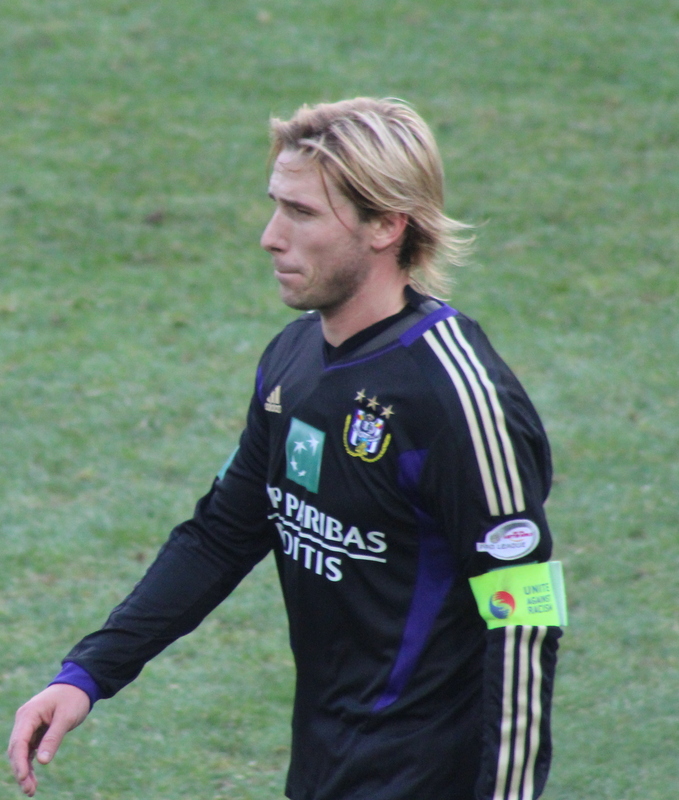 Anderlecht’s Massimo Bruno – has moved to Austria. However, if this was a game of poker, then the Belgian league, while having been dealt some bad cards, has been playing them very badly. The clubs have been guilty of introducing and prolonging the inequitable playoff system. It’s now being rolled out for the fifth time. This renders the league games prior to the playoffs practically meaningless. All points gained are halved when the classic season ends so a defeat means the loss of 1 ½ points! It’s universally recognised therefore that the season only gets underway on April 4, 2015, when the top six go into the battle. And it’s not too difficult to forecast who that will be. Furthermore, as the season has to be extended to fit in the extra playoff matches – 10 games per club – it has to start earlier. Today! So there will be five weeks of the league prior to the transfer window closing. Almost all of the top clubs have said they are not ready for the season to start and with the transfer window open, any good players are more likely to leave than arrive. In one sense it doesn’t matter as the clubs are only playing for 1 ½ points for the first eight months – there are no six-pointers in Belgium. April 4th may be a long way away but the feeling is that the local fans are being short-changed. They don’t pay the extravagant prices that exist in the Premier League and perhaps Belgian fans prefer to watch MOTD with a couple of Leffe Blondes at hand. But when you think back to the days of Enzo Scifo, Michel Preud’homme, Frankie Vercauteren, Robbie Rensenbrink and Luc Nilis, you have to admit that it’s all gone sadly wrong. I only discovered the other day that Alex McLeish is managing Genk in the Pro League, looking at Genk’s results since he took the reins, he seems to be getting away with it, what is the public perception of him in Belgium? Genk missed out on PO1 Qualification, that wasn’t a huge ask for the ‘Big Eck’, this failure won’t look good on his CV, his position at Genk has to be in question?